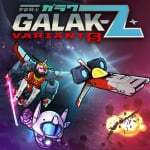 Galak-Z: Variant S has now launched on Nintendo Switch with one intriguing surprise, being made available as a free download rather than sticking to its original $9.99 price point. Towards the end of last month, we reported on the fact that the game had mysteriously missed its release date after an inconspicuous delay. As it turns out, we needn't have worried too much about the galactic mech shooter hitting the platform - and mobile devices, too - as it's now available to download free of charge. If you like the look of this one from its E3 trailer above, you may as well give it a go for the extremely cheap price of 'free'. If you do give it a try, make sure to share your thoughts with us in the comments below. I loved this game on the PS4, but this version feels like it's cut a few corners. It doesn't feel as fluid, the structure is completely different, and the FTP model feels like it's cheapens it. I'm a little bit sad, but it's hard to gripe too much when it's free. I suppose I’ll give this a quick download before I pack the Switch up for work. This actually raises a red flag. Yeah, they made it "free", so they can trick us to spending more money, on in game purchases. No thanks. @Steel76 trick us? It's not a trick, it's a different monetisation model. If you don't like that then fair shout, I'm not keen on it, but to declare it a trick is to make out that you're not in control of your own spending. That's your problem, not theirs. When the fun stops, STOP! Well, let's give it a try then! Why not? I hate that we're getting this F2P model instead of the version that originally launched on PS4. Sigh. I would have rather paid the $10 than get a free game with microtransactions. It looks like it might have been fun. I'll still try it though, but I like my games whole. I’m really enjoying it so far, I heard the news yesterday and played about 9-10 levels and it’s been really fun so far. At this stage at least it seems like you can win a decent amount of in game currency without spending money and it seems like progress is fair. Engaging gameplay and a unique look, I was kind of on the fence but decided to give it a spin since it’s free and I’m glad I did. Plus, if it ever starts to feel “pay to win” I’ll just stop playing lol, no love or $ lost! @Sabroni Same exact thinking here. Free to play is not a gimmick. @Steel76 This game does not have magical magnets to extract unwillingly your money from your wallet. It's YOU who decides if that wallet of yours is going to be open. Simple as that. I’ll have to give it a go after I get bored of Octopath Traveler. When is this coming out on the EU Eshop? Looks interesting. I think I used the wrong word here. What I mean is, I hate games, where you quickly hit a wall, and if you wanna proceed any further, and your character are too weak for the later levels, you basically have to pay up. I have played far too many of these games, where you quickly hit that wall. Maybe, hopefully, this game avoids that. @Steel76 Switch has lately a lot of free to play (start) games which is a new thing for Nintendo platforms in general. Fortnite, Arena of Varlor Beta, Fallout Shelter, Pokemon Quest and that PETA Cat quest game are all played wonderfully wilthout the need to spend money if you don't want to. Played the first 6 levels. Fun so far. Won't drop any money into it though. Regarding the whole F2P issue... Yes, people are in control of their spending, but I think many fail to understand why people are complaining. It's not about the money it itself, as most people interested in the game would be ok with paying $10 to get the game. The problem is that most F2P game mechanics are usually tweaked to hamper game progress at some point to incite players to spend money. Sure, a game can be "fair" up to a point by giving you some in-game currency on a regular basis, but at some point, you'll feel like your progress is slowed down not because you're not good enough at the game, but simply because you're not paying. Games then become an artificially imposed grind-fest that has no other reason to exist than to incite you to pay. The financial logic behind it is fine, as in, how could developpers get money otherwise, right? But then, this model IMPLIES putting artificial limitations in the game to steer you towards paying transactions. So, a traditionnal, pay-once-play-forever game doesn't have to include slowing-down gimmicks, or other aspects to nake you pay again and again and again to "fix" artificially bad game mechanics that would otherwise be absent from the game. If that was "free to start" with a simple "unlock the full game for 10$", or if microtransactions would only be for cosmetic items not affecting the gameplay, then I guess I would be totally fine with it. But to me, being constantly reminded by a game that I should pay real-world money for progressing in a manner I would describe as "normal", is a complete turn off. I play games to escape reality. Not to be reminded at ever turn that I should part with my cash. To me, this sounds like getting a music album for free, but only having access to a low-quality recording, with a notification asking that I pay to get access to the "normal" quality playback. Every time I play the tracks. I know, that example may be exagerrated, but it is still what F2P in general feels like to me. I would have probably bought it at some point. Looks like a cool game. And at around 10$, it would've been good value, I think. But making it F2P kind of make me loose interest in this instantly. I’ll download it. I have space in my memory card, no similar type of game in my colllection and you can’t beat the price (though they will never see my money on micro transactions) If I got to play it is a different story. @Realnoize all this, and the fact that the game requires a constant online connection which means playing it on the go (on Switch anyway) is basically impossible unless you use some sort of mobile hotspot. Hate this. Would rather pay for a game. Hope others don’t follow with this micro transactions model. Keep that off if my Switch. Was planning on buying, but no free to lose games for me. I'm good with the PS4 version and I really don't care for the F2P implementation, like not at all. I’ve only played a few levels, but so far I’m extremely disappointed. The original version of the game looked great. This is bargain-bin mobile trash. I think some people are confused about the pricing change. It’s not that it was a paid game before and they released a free to play version instead. This is the same exact game but their original plan was to release it at $10 and give you a bunch of in-game currency from the start. Sort of like what Paladins did. I much prefer the way they ended up doing it though, as if I’m going to make an in-game purchase I want that to be my own decision, not forced on me from the start. If this was a port of the normal PS4/PC version then that would be a different story, as I’d instabuy that in a heartbeat. But don’t make me pay for a free to play game. @Sabroni While I agree with your statement it's a fact that any FTP game uses behavioural tricks that can trigger an addiction in some people. It is obviously the singular persons 'fault' but no denying the systems used enhance the probability. Not a bad little game, the few stages I tried. I prefer the FTP model surprisingly. I can’t see myself committed to this title as much as others. I probably never would have tried it if I had to buy it up front, as I have to be very picky with my space and spending. Those of you wanting to try a new game and don’t have a lot of play money at the moment, I can’t downplay this one. Its a nice game. If this wasn't free I would have never played it. I like it so far. I think it's a pretty good Twinstick-Shooter / Action-RPG with good enemy AI and nice cel-shaded 3D graphics. I completed the map until sector 4 but now need to repair my mech and ship (wait for the next day) before I can continue. I've took the plunge. Seems like a nice little game to play when you've only got five minutes or when winding down a play session. @SKTTR is repairing your ship where the pay element comes in or is it possible to do without spending anything? @Aven: You can repair your ship with green crystals. You collect green crystals in missions or get them from defeated enemies, or you obtain them from reaching a sidequest and from decoding cores. The ships get repaired every 24 hours (realtime) it seems, so if you want to save your currency, you have to wait a day or do easy missions until health replenishes automatically. You can pay real money, but that's only for a special currency that unlocks lootboxes (that contain Bots, green crystals, and other things). It seems everything is possible to do without spending money, and if you are a good player you might never run out of health. Micro-transactions mean the developers create a different type of game, where maximising in-game revenue is exploited at the expense of fun. So it ain’t my bag, but I don’t blame developers for exploring this funding model. @Steel76 @cosats @whalehome and anyone else reading this, please don't donwload the PETA game, or promote PETA until you have read into their abhorrent practices into euthanizing animals for no reason, exceot they don't believe that animals should be domesticated. There are some interesting / shocking articles about them encouraging people's pets off their property so they can take and euthanize them. I have been playing this game, and I've enjoyed it. I've been doing the daily missions to get the green gems. Which means there is some grinding to the game, but honestly, the levels are short enough, so it doesn't really bother me. It's pretty fun and playable in small chunks of time. The writing is pretty funny too. Cheesy but funny. I've been playing this for several days now where I've completed the first 3 stages exhaustively. The in-game graphics are subpar IMHO. I've only played it as a handheld though so I don't know if the graphics improve on the big screen. I don't particularly like the control scheme and wish they gave the option to implement your own controls. If you ever played Asteroids, you get a picture of how your ship moves. In my experience though, my ship keeps moving towards the walls even when I make a complete stop. There are loot boxes in the form of artifacts and robots. You collect artifacts through basically finishing the mission (the mini bosses give out the loot boxes after they are destroyed). You can gain more robots either through the main currency that is Crash Coins or Parts which you get from loot boxes. The artifacts give your ship upgrades such as weapons, stronger hulls, resistance to certain elements, etc. Unfortunately, they don't come whole. You have to unlock multiple loot boxes to find all the pieces for an artifact. The loot boxes may also contain Parts (not sure what the green data chip icon is called) and Crash Coin(s). You do not gain robots through missions. Instead you may purchase either with Parts or Crash Coins for robot loot boxes which no surprise, have rarities. I believe Crash Coins give you a guaranteed Elite rarity Robot but am not sure. You need the robots to reveal loot boxes uncovered in missions. You also need them to play in the arena (up to 3). I believe there are 3 types of robots-offensive, defensive, and utility(?) bots. I believe Bigsby, the robot you start out with is this type. They modify your ship depending on the robots you choose to fly with you. The higher level your character, the more robot crew you can add to your ship. How invasive is the f2p element of the game? At the moment ( as I've only completed 3 stages), it does not seem to be overly pushy. I've died twice and had to spend 20 Crash Coins total (the main microtransaction) otherwise I would lose all the artifacts gained so far. However if you are the impatient type, you can spend Crash Coins to speed up uncovering the loot boxes (otherwise takes the robot 10 minutes) or refresh rate of arena combat. There are daily gifts you gain as long as you just turn on the game. There are daily achievements that give you certain rewards if you accomplish them beside the main story missions. Overall, I find the game fun. You really need to know the enemy types that you encounter, how to use the current lay of the land so to speak (the walls have things that are harmful to you and enemy ships), and your skill in maneuvering your ship. If you are skilled enough (not get killed in a mission) and/or are patient enough, you can easily accumulate Crash Coins and Green crystals towards upgrading your ship/mech. The cut scene art is good and the story contains a lot of humor. By the way, I forgot to mention that your ship can transform into a mech which is required in certain missions and has its own level and artifacts.